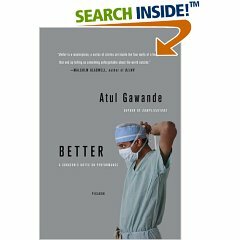 Commencement address by Atul Gawande, M.D. It is an honor to have been asked to come before you on this momentous day. Today marks your graduation not just into a new profession but, more than in almost any other profession, into a new identity. You are a doctor. No matter what you do from here on out—whether you see patients, work in a laboratory or leave science and patients altogether—it will now be a central part of who you are, and over time perhaps the most important part of who you are. It will be how you’re introduced, for example, no matter how much you might try to avoid it. At a baseball game, a hair salon, fifty years from now at, God forbid, an impotency clinic—they will say, “This is Dan Prince. He’s a doctor, you know.” There is no escape, my friends. The fact that you are a doctor now will define you not just to patients, but to your friends (who will turn to you in their most desperate moments), to your grocery store clerk (who will figure you are rich), to teenagers (who will know you’ve seen a lot of naked people and ask all kinds of rude questions). Most of all it will define you to our larger society as someone of a potentially distinct and valued character. It’s important to think about what that character is on this day. Not all doctors have it, by any means, and no one has it all the time. But all doctors can have it. And what it is, I think, is a particular kind of strength. I tend to think in stories. So let me tell you one. When I was a fourth-year medical student, I had a patient who still sticks in my mind. I was on an internal medicine rotation, and I was nearly finished with medical school—in fact, it was right around this time of year. The senior resident had assigned me three or four patients to take primary responsibility for. One was a crinkly, Portuguese-speaking woman in her 70s who, as near as I could tell, had been admitted because—I’ll use the technical term here—she didn’t feel too good. Her body ached. She felt run down. She had a cough. She had no fever. Her pulse and blood pressure were fine. But some labs revealed her white count was up. A chest X-ray showed a possible pneumonia—maybe it was, maybe it wasn’t. So her internist admitted her to the hospital and now she was under my care. I took a sputum culture and, following the attending’s instructions, started her on some antibiotics for this possible pneumonia. I went to see her twice each day for rounds. I checked her vital signs, listened to her lungs, looked up her labs. To me, she stayed more or less the same. Her heart rate went up. Her heart rate went down. Sometimes she was warm. Sometimes she was cold. We’d give her antibiotics and wait her out, I figured. She’d be fine. One seven a.m. morning on rounds, her heart rate was a little up and her skin was a little warm. She had a low-grade fever. Keep an eye on her, the senior resident told me. Of course, I said, though to me she seemed just as she had been. I made a silent plan to see her in the early afternoon before our usual rounds. But the senior resident went back to check on her twice himself that morning. It is this little act that I have often thought about since then. It was a small thing, a tiny act of conscientiousness. He had taken the measure of me on morning rounds. And what he saw was a fourth-year med student, with a residency spot already lined up in general surgery, on his last rotation. Did he trust me? No, he did not. So he checked on her himself. That was not a two-second matter, either. She was up on the fourteenth floor of the hospital. Our morning teaching conferences, the cafeteria, everything we had to do that day were on the bottom two floors. The elevators are notoriously slow. He was supposed to run one of the morning teaching conferences. He could have told a junior resident to go up and see her. But he didn’t. He made himself go up. The first time he went up, he found she had a high-grade fever. The second time, he transferred her to the intensive care unit. To my great embarrassment and her great fortune, by the time I had a clue about what was going on, he already had her under treatment for what had developed into septic shock from a resistant, fulminant pneumonia. What makes you do the right thing? The distinctiveness of medicine is that you are called upon to ask yourself this question almost everyday. And I can tell you—if I may be blunt—that the answer is not joy. Oh sometimes it really is fun. But the truth of medical life is that doing the right thing is often painful—and yet you find a way to do it anyway. There can be more than one kind of pain involved. There is, for example, what I call the Back Pain. You have one last lab result to check before you go home. But the computer is down. You call the lab. No one’s picking up. So you walk down to the lab and ask someone for the result in person. But no one at the lab can find the sample. You try to ask a phlebotomist to draw another sample. But the phlebotomists have already gone home. So you have to go find the patient and draw the lab yourself. And now they don’t want to be stuck again. That is the Back Pain. Then there is the pain of humiliation—because there is always something important that you do not know or are not very good at yet. There is the pain of uncertainty—because nothing is ever sure about people and what goes on inside them and what happens with what we do to them. And finally, there is the pain of failure—because all of us will fail. Yet a doctor—the doctor others count on and see in you—finds a way to make him- or herself do the right thing. Why? Because you said you would. Because it’s what you chose to do. We have certain theories about why people become who they become in life. The most common theory—especially about doctors and artists—is that you are born to what you do. And I know for sure that this isn’t true. Because of all things I could have become a writer was not going to be one of them. The truth is that before seven years ago, I never really knew how to write and I did not much care. I grew up in a small Ohio town in a family of immigrant doctors. My sister and I were not raised with books around us. The magazines on our living room coffee table were my parents’ medical journals. My high school English classes only required us to read one book cover to cover each quarter. And that was fine with me. In college I did take a fiction writing class once, but it was mainly because there was a girl taking it I had a rather keen interest in—we married a few years later—and the professor half way through took me aside and suggested I find something to do other than writing. I can tell lots of stories like these, unfortunately. After college I used to write rock songs with the most abominable lyrics—“Oh the pain, oh the misery,” that gloomy, Morrisey, ’80s sort of thing. I liked imagining myself as some kind of writer or artist. But I never took the time to actually write—to think carefully and rigorously and unsentimentally about words. What I liked imagining, really, was just being important. But you know where that gets you: nowhere. Where I eventually ended up after college was medical school. If I was going to be born to do anything, medicine was it. I grew up in a medical family. My father is a urologist, my mother a pediatrician. I don’t like the idea that I became a doctor just because my parents are doctors, and I never did. I like to think of myself as an autonomous being, the master of my own fate. One of my favorite books in the world is Tobias Wolff’s memoir This Boy’s Life. It is the tale of his childhood growing up in Concrete, Washington, with a loving but poor and abandoned mother, a malevolent new stepfather, and a decision he made when he was 12 years old—he simply decided—that he was meant for a better life. During school he stole some letterhead, made up a transcript, several stunning letters of recommendation, and got into a private eastern boys school on scholarship. From there he went to Princeton. And with that he became almost exactly who he had wanted to be—a writer, for one thing, and a person with a certain place in the world. I took a lesson from this: not that you have the power to simply make up who you are. But you can choose to put yourself in a new and specific world and that will change who you are. Ernest Hemingway was the son of a prominent surgeon and like almost every child of doctors he found it difficult to escape the belief that a doctor is what he had to become. But it was not what he wanted and against his father’s deepest wishes he removed himself to Paris and submerged himself in the expatriate community of artists and writers there and emerged a writer himself. And yet no one entirely invents themselves. Indeed, a recurring theme of Hemingway’s Nick Adams stories—his first short stories—is the struggle of young Nick to establish his own identity and beliefs separate from his surgeon-father. And by Tobias Wolff’s second book, In Pharaoh’s Army, Wolff has clearly not entirely escaped Concrete, Washington, and his absent, alcoholic father has come out of the woodwork and inserted himself disastrously back into Wolff’s life. Well, after college I too removed myself to Europe, to Oxford for two years to study politics and philosophy, and put a hold on medical school plans. I hoped to become transformed, to become a thinker, perhaps a professor of philosophy. But it took all my capacity just to understand the questions philosophers asked, let alone offer anything like original answers. I had no natural ability in this and, though I came back a bit better educated and better traveled, I was not fundamentally changed. I spent a further year working in Washington politics. But by 1990 I was a student in medical school and right back where everyone had always predicted I would be. Later in medical school, however, I chose surgery because I thought that perhaps this would make me more like the kind of person I wanted to be. Certainly I loved technique and using my hands and the sheer blood and guts of it all. But what most attracted me was the predicament of surgery—the combination of high stakes and uncertainty—and the character of those who could deal with it well. Surgeons are faced every day with unknowns. Information is inadequate; the science is ambiguous; one’s knowledge and abilities are never perfect. The risks of unforeseen consequences and terrible mistakes always loom. And yet they are able to act. “Sometimes wrong, never in doubt,” people say about surgeons, and it is meant as a reproof. But this seemed to me their strength—the ability of the best surgeons (like the best politicians) to make wise decisions under conditions of deep uncertainty and accept responsibility for the consequences. I have always had a tendency to indecision. I could imagine myself in that old New Yorker cartoon with the gravestone inscription that said: “He kept his options open.” So I put myself in the surgical world—where decisiveness is valued not despite the stakes being high but because they are. This is, in fact, a central trait of good doctors in any part of medicine, I learned. They struggle against the pain of uncertainty, tedium, and error, knowing they will sometimes fail, but doing so because the stakes are high. I also found, much to my surprise, that trying to understand this struggle would lead me to become the writer I did not expect to be. The life of a doctor is an intense life. We are witnesses and servants to individual human survival. The difficulty is that we are also only humans ourselves. We cannot live simply for patients. In the end, we must live our own lives. Still, to live as a doctor is to live so that your life is bound up in others’ and in science and in the messy uncertain connection between the two. Graduates, we are the ones who must become comfortable with being uncomfortable—and it is so that others may be comforted. Non-EM Residency Trained Docs: Post and Be Counted! “How many non-Emergency medicine (EM) residency trained ER physicians have had their ER career/ livelihood terminated or seriously limited due to lack of EM residency training? -if you’d like to tell us something about your circumstances, it would be greatly appreciated. If you want to solve a problem, you have to get a good look at it. 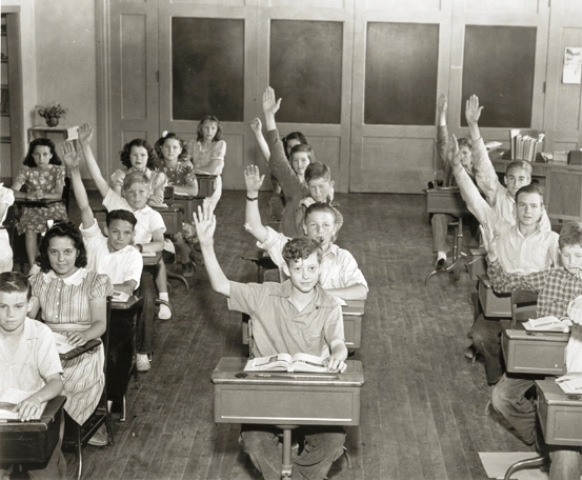 FCEP: Whose Side are You Really On?